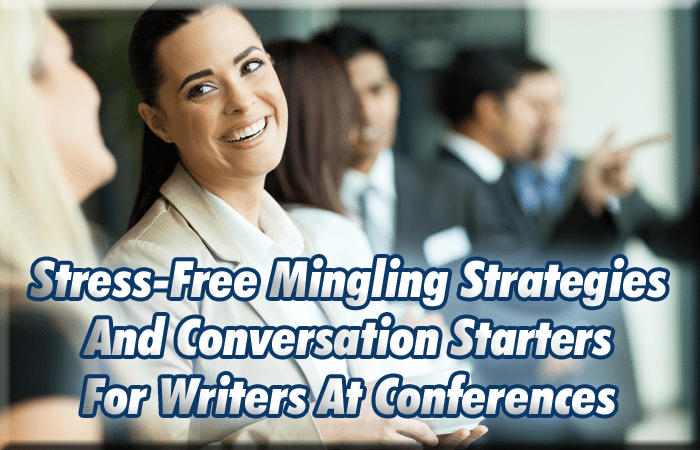 Stress-Free Mingling Strategies And Conversation Starters For Writers At Conferences - Writer's Relief, Inc.
It’s not easy to walk into a room filled with strangers, mingle effortlessly, and chat comfortably. For many writers, this awkward interaction is the most dreaded aspect of attending a writers conference. But a writers conference offers you a priceless opportunity to interact with other writers, editors, and literary agents—so don’t let your inner introvert keep you from making the most of it! Scan the room when you first walk in and make mental notes: Where’s all the action? Do you recognize anyone? Is there food? A friendly “hello” with a genuine smile is guaranteed to break through even the thickest ice. Other conversation starters can include questions about where a person is from, his or her favorite genre, or asking about the author’s experiences with writers conferences in general. If you spot a lively group discussion, wait for a pause in the conversation and politely express your interest in joining. “I couldn’t help but overhear your conversation. I’ve been interested in digital publishing for some time now…” followed by a pertinent comment or question related to the topic. Sometimes it’s easier for an introvert to focus on another introvert. Approach someone who is standing alone and offer a commiserating statement. “Hi, I’m Sam. Mind if join you? It’s so noisy over there, I can’t hear myself think!” He or she will probably be grateful for some company and a like-minded soul. A compliment is always a nice way to greet a new person, but keep your comments professional. Newsworthy events, the weather, or sports can help spark a conversation with a stranger. You can also use your smartphone to quickly (and discreetly) look up information about a writer you’ve just met to find a conversation starter. Asking questions that require a full answer (rather than a one-word “yes” or “no”) is the easiest way to get someone talking. But avoid potentially touchy subjects such as a person’s marital status, parenting status, or education. When you encounter someone who has zero interest in speaking with you, let it go, walk away, and talk to someone with a more welcoming attitude! 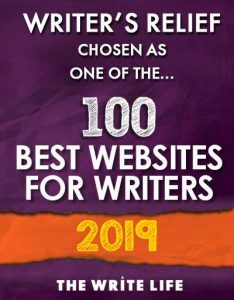 Editors and literary agents are hoping to connect with writers whose projects they can feel excited about. So be genuine, friendly, and (try to) relax. Be yourself, and have a quick (thirty seconds to one minute) pitch ready about yourself and your writing. If you’ve practiced what you’re going to say ahead of time, you’ll be less likely to ramble or get flustered. It can be hard to approach a literary agent who is surrounded by a large group, or one who is on the way out the door, but don’t let your shyness keep you from trying. Remember, you paid for this opportunity, you came with a goal, and stepping out of your comfort zone this one time might be the key to landing an agent for your book! Thank each agent or editor you speak to for his or her time, which is something a surprising number of writers forget to do. Writers conferences can be a great learning experience, so don’t throw in the towel if you don’t make a personal connection with an agent, editor, or any other writers. Now you know what to work on for the next conference! And be sure to read our article: Ten Things NOT To Do At A Writers Conference. 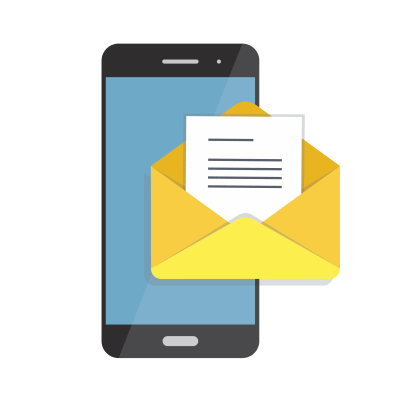 If you’re interested in attending a conference, check out the Writer’s Relief Classifieds for our free listings, updated weekly. QUESTION: What are some of your strategies for networking at writers conferences? Professional, foo. I make lovely connections while commenting enthusiastically and genuinely on the person’s shoes, which, at a writers’ conference, are generally very cool. Not that I don’t go on to talk and listen and ask questions, but acknowledging the effort we all put into self-presentation does seem to strike a chord.